Father Dragos Herescu, the acting principal of IOCS introduced the conference as a ‘pinnacle’ of one-day conferences at the institute during the past year. He described these ‘Contemporary Fathers and Mothers’ as witnesses to the continuing and continuous presence of the Holy Spirit in the Church, and as guides for education and theological inquiry and practice through their lives and writings. We live in a world where the light of God is intensely present, although we do not always see it like that, he said. These diverse people are another testimony to the work of the Holy Spirit in the World. Dr Christoph Schneider said the conference title suggests that we need guidance and that we need guides. But this need was lost at the enlightenment, and he quoted Immanuel Kant who said in 1784 that ‘enlightenment is man’s emergency from his self-imposed immaturity’ and the need for guidance. The search for independent thinking, intellectual and moral autonomy and self-sufficiency was a reaction to authoritarianism in Church and State. Modern philosophers, such as Alasdair McIntyre and Charles Taylor, have recently developed the idea of Communitarianism, which seeks to oppose excessive individualism, the revival of tradition, and advocates virtue ethics. In this thinking, guides enact and embody the ‘good life’ and are indispensable to the community. In the Eastern tradition, Sobornost, developed as an alternative to individualism and socialist collectivism. But, he asked, why do we need guides that are like Fathers and Mothers. He looked at Father figures and Father-Child relationship, and drawing on the writings of the French psychoanalyst Jacques Lacan (1901-1981), he discussed how Fatherhood can be problematic, but so too the absence of the father, and looked at the concept of the sacramental presence of the father, experienced in love, beauty and holiness. The problematic absence of the ‘Father’ leads to psychosis. The unsuccessful establishment of the ego-ideal creates a false certainty instead of doubt. Such a person is always certain of his own ideas because there is no authority figure, and may have hallucinations such ‘they are trying to get me’ or ‘God has chosen me as his messenger.’ He experiences shame, but not guilt, and has no critical self-reflection because the psychotic’s ‘father’ is demanding without limits. In neurosis, the obsession is to completely adopt the Other’s ego-ideal, and wants a despotic father. But divine love is not love like this, and involves creative reception. Is there a way beyond the neurosis? He looked at Nature and Grace in Orthodox theology, especially in the writings of Saint Maximus the Confessor. The desire for God is grounded in nature and creation. Fathers and mothers fulfil a mediating function from the beginning, facilitating the child realising the desire for God, and helping the child to redirect desire and love towards God. For Christian love, misdirected love can be redirected, but cannot be imposed, yet it is unconditional. It aims at transforming the loved one and aims at reciprocity, even when there is no initial response. He quoted the martyred Russian Orthodox theologian and Pavel Florensky (1882-1937), who explains that ‘to love visible creatures is to allow the received Divine energy to reveal itself – through the receiver, outside and around the receiver – in the same way that it acts in the Trihypostatic Divinity itself. It is to allow the energy to go over to another, to a brother. For merely human efforts, love for a brother is absolutely impossible’ (The Pillar and Ground of the Truth). Introducing Dr Streza, Dr Razvan Porumb, a Postdoctoral Fellow and Lecturer in the IOCS, described him as one of the most prolific and prestigious Romanian scholars in this field. Dr Streza introduced us to some of the key texts by Professor Dumitru Stăniloae (1903-1993), who became rector of the Theological Academy in Sibiu in 1936, but was forced to move to Bucharest in 1947. He was the leading Romanian Orthodox theologian of the 20th century. For over 45 years, he worked on a Romanian translation and commentaries of the Philokalia, a collection of writings on prayer by the Church Fathers. He worked alongside the monk, Father Arsenie Boca, who brought manuscripts to Romania from Mount Athos. His three principal subjects were ascetics and patristics in the 1940s, dogmatics in the decades that followed and the liturgy in the 1980s. His book The Dogmatic Orthodox Theology (1978) made him one of the most influential theologians of the last century. He also wrote commentaries on many Patristic writers, including Saint Gregory of Nyssa, Saint Maximus the Confessor, and Saint Athanasius of Alexandria. He sought a synthesis of the understandings in Antioch and Alexandria of the Liturgy, and he wrote of the Holy Liturgy in the contexts of mystery, person and Communion. Everybody has an internal liturgy alongside the external liturgy, and when we bring them together we have a foretaste of the Kingdom. In the discussion that followed, Dr Streza spoke of how when we receive the mystery of the Trinity we have to give it to the world. You cannot take without giving. The Liturgy is taking part in the life of Christ and putting it into action. Later this afternoon, the Revd Professor Andrew Louth discussed ‘Father Sergii Bulgakov’ as a spiritual father. Father Andrew, who is a priest of the Russian Orthodox Church and Emeritus Professor of Patristic and Byzantine Studies at Durham University, is one of the leading Patristic scholars in the English-speaking world. Father Andrew, who was introduced by Dr Christoph Schneider, spoke about Father Sergeii Nikolaevich Bulgakov (1871-1944), the Russian Orthodox theologian, philosopher and economist who died in exile in Paris. He was once a Marxist professor of economics in Russia, But he realised he could not make sense of the beauty of the world without relating it to God, and he moved back to the Orthodox faith at the beginning of the 20th century. Little of his correspondence has been published, and his theological writings are rooted in German idealism that makes him difficult to read. But many found him a real spiritual father, and his spiritual children included Sister Maria of Paris and Sister Joanna. He was 47 when he was ordained on the Day of the Holy Spirit (‘Whit Monday’) in 1918, and he remained in post-revolutionary Russia until several thousand members of the Russian intelligentsia were expelled at the end of 1922. From Constantinople, he made his way through Prague to Paris, where he helped found Saint Sergius Orthodox Theological Institute. His ideas about the Wisdom of God, his sophiology, were unpopular, but were hugely respected. He is best known short trilogy published in the 1920s, and his three-volume work in the 1930s. He celebrated his last Liturgy on the Day of the Holy Spirit (‘Whit Monday’) in 1944, and he died 40 days later. Father Andrew presented Bulgakov as spiritual father rather than as a theologian, as a Christian sage and a teacher of the Church. In his life experiences, Bulgakov lived out the idea Aeschylus expresses in a play on words about learning through suffering. After a near-death experience, he found God was bringing him back to life, and he celebrated every Liturgy as if it might be his last. The great man was at heart a simple priest. For Father Sergeii, the Spiritual Father was first and foremost the celebrant of the Divine Liturgy with his Spiritual Children. His advice includes to prepare carefully for the celebration of Liturgy, which may involve the whole day beforehand. He advised his spiritual children never to close their door on anyone. The liturgy constantly seeps into his theology and into his practice. For Father Sergeii, liturgy and eschatology come together with the breaking in of future hopes into the present. At times, it seemed he was celebrating the Liturgy for the first time, bringing together the whole Creation, and his suffering leant depth to his celebrating. The summer conference in Sidney Sussex College organised by the Institute for Orthodox Christian Studies has moved this year from the William Mong Hall, behind the chapel, to the Knox-Hall Room in Cloister Court, just below my rooms on Staircase L.
The room is a genteel, oak-panelled seminar room looking out onto both Cloister Court and the Fellows’ Lawn, and was named in honour of Thomas Knox-Shaw (1895-1972), a Fellow of Sidney Sussex and Master of the College from 1945 to 1957. Knox-Shaw was educated at Blundell’s School, which has had links with Sidney Sussex since its foundation in 1604. He won a mathematics scholarship to Sidney Sussex, and here he obtained Firsts in both parts of the Mathematical Tripos and was fourth Wrangler in 1908. He was elected a fellow of the college in 1909, but at the outbreak of World War I he joined the York and Lancaster Regiment. He spent the war both with his regiment and on brigade staffs, first in France and later in Mesopotamia, and was awarded the Military Cross. Knox-Shaw returned to Sidney Sussex as a mathematics tutor in 1919. He was on the council of the Senate of Cambridge University, and in 1929. Knox-Shaw became the second treasurer of the university. In these roles, he made reforms to university accounting and its methods of controlling and maintaining the university’s buildings. Knox-Shaw became the Master of Sidney Sussex in 1945, and remained in office until he retired in 1957. His gifts to Sidney Sussex College include the picture of Oliver Cromwell that hangs in the Hall where I am having meals each day. In Church life, he also served as a member of the Board of Finance of the Diocese of Ely, was a trustee of the Cambridge Mission to Delhi and a very active member on the committee of the Universities’ Mission to Central Africa (UMCA). Both missions are now part of the Anglican mission agency USPG. 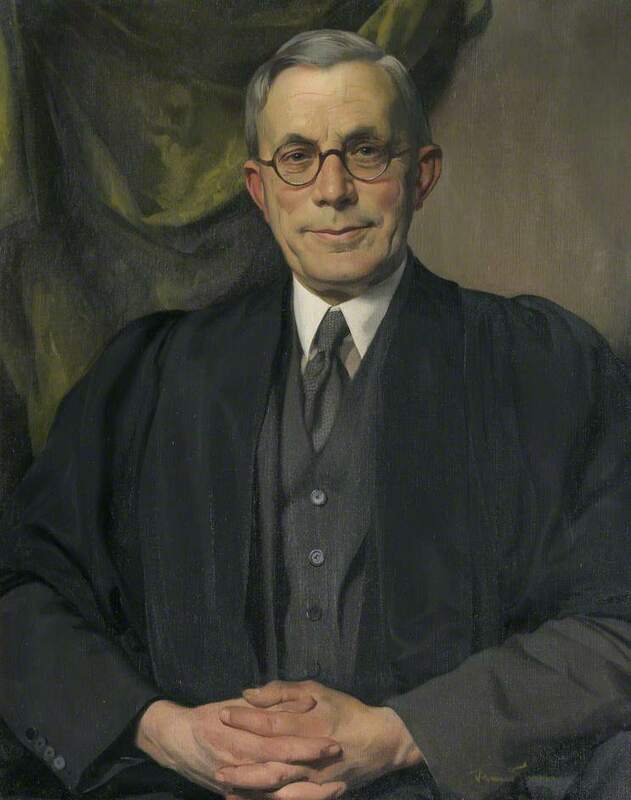 Knox-Shaw played a role in the early developments of the National Health Service in the Cambridge area, and in 1954 was made a CBE. Knox-Shaw was also an active supporter of the Sidney Sussex Boat Club and Tomminox 2002 is one of a succession of boats bought by the boat club from the Knox Shaw fund. This is a Burgashell 8+ designated for use by both the men’s and women’s squads. Indeed, there is evidence of former Tomminoxes around the boat house. 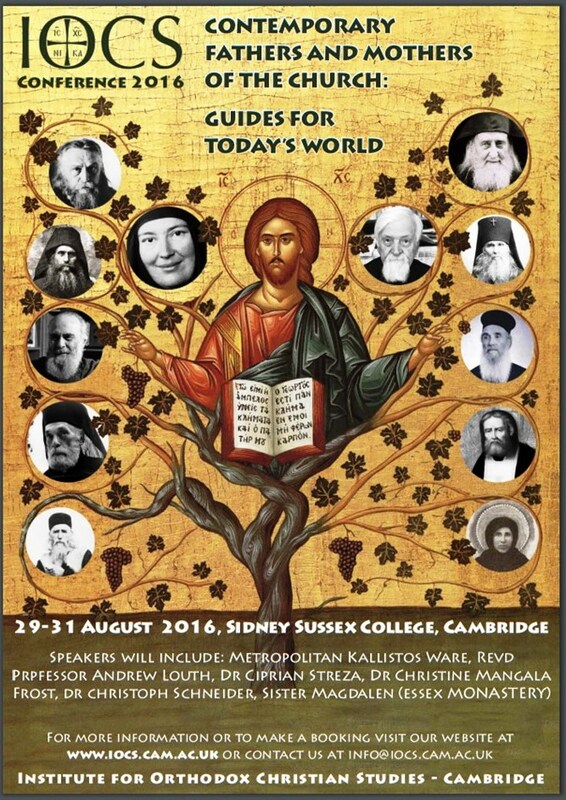 The annual conference of the Institute for Orthodox Christian Studies opens in Sidney Sussex College, Cambridge, this morning [29 August 2016]. 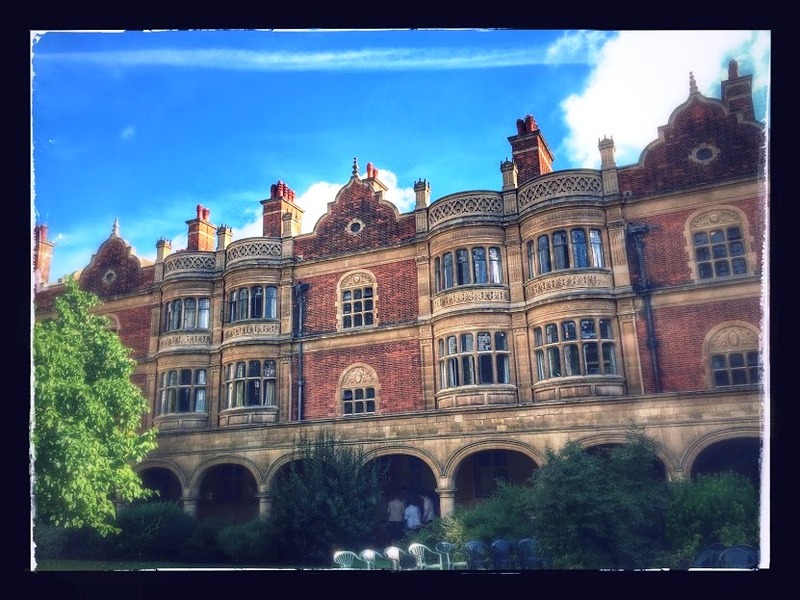 I have taken part in this conference since 2008, and this week’s conference continues in Sidney Sussex College until Wednesday evening [31 August 2016]. 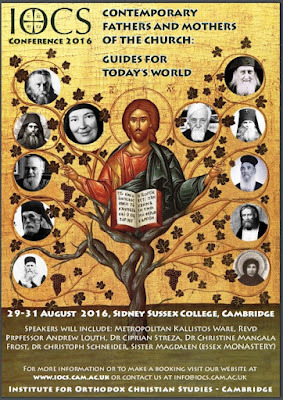 The speakers include Metropolitan Kallistos Ware, the Revd Professor Andrew Louth, Dr Christine Mangala Frost, Dr Ciprian Streza, Dr Christoph Schneider, Dr Razvan Porumb, the Revd Dr Liviu Barbu and Sister Magdalen. The last day of the conference on Wednesday includes a visit to the Monastery of Saint John the Baptist in Tolleshunt Knights in Essex, which has become an annual pilgrimage for me. I am staying for the week in rooms on Stairs L in Cloister Court in Sidney Sussex College, overlooking the Fellows’ Lawn and beyond that the Fellows’ Garden. This morning before breakfast, I hope to attend the early morning Eucharist in Saint Bene’t’s Church nearby. Professor Dumitru Stăniloae (1903-1993) was the leading Romanian Orthodox theologian of the 20th century. For over 45 years, he worked on a Romanian translation of the Philokalia, a collection of writings on prayer by the Church Fathers, alongside the monk, Father Arsenie Boca, who brought manuscripts from Mount Athos. His book, The Dogmatic Orthodox Theology (1978), made him one of the best-known theologians of the last century. He also wrote commentaries on Patristic writers, including Saint Gregory of Nyssa, Saint Maximus the Confessor, and Saint Athanasius of Alexandria. Later this afternoon, the Revd Professor Andrew Louth is discussing ‘Father Sergii Bulgakov’ (4 p.m. to 5.30 p.m.) Father Andrew is a priest of the Russian Orthodox Church and in 1996 he became the Professor of Patristic and Byzantine Studies at Durham University, where he is also the Orthodox chaplain. Father Sergeii Nikolaevich Bulgakov (1871-1944) was a Russian Orthodox theologian, philosopher, and economist who died in exile in Paris. The day ends with Evening Prayer in the Knox-Shaw Room in Sidney Sussex at 5.30 and dinner at 6.30. Tomorrow [Tuesday, 30 August], after Morning Prayer and breakfast, Dr Christine Mangala Frost is presenting a paper on ‘Signs and Wonders: a Comparative Study of Spiritual Elders in Orthodox Christian and Hindu Traditions’ (9.30 to 11 a.m.). Later in the morning, Metropolitan Kallistos of Diokleia is to speak on: ‘Elder Amphilochios of Patmos’ (11.30 to 1 p.m.). Elder Amphilochios (1889-1970) was a priest and monk who lived on Patmos, where he was Abbot (1935-1937) of the Monastery of the Apocalypse, until the occupying Italians forced him into internal exile in Greece, first in Athens and later on Crete. In the first afternoon session tomorrow, Dr Razvan Porumb speaks on ‘Father Nicolae Steinhardt’ (2 to 3.30 p.m.). Dr Porumb is Vice-Principal of the IOCS, where he is a postdoctoral fellow and a lecturer. Dr Nicolae Steinhardt (1912-1989) was a Romanian theologian, hermit and confessor from Bucharest. He was a Jewish journalist who converted to Orthodox Christianity while he was a prisoner. Late in life, he entered in Rohia Monastery, where he worked as the monastery’s librarian and dedicated himself to writing. There, his growing reputation as a counsellor and father-confessor attracted many visitors to Rohia. Later in the afternoon, the Romanian theologian and priest, the Revd Dr Liviu Barbu, is speaking on: ‘What it takes to be a saint today? A tentative sketch of a profile’ (4 p.m. to 5.30 p.m.). Again, the day concludes with Evening Prayer at 5.30 and dinner. 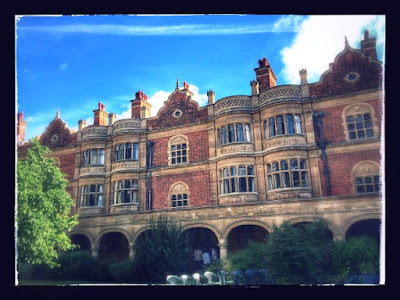 We return to Cambridge and Sidney Sussex College later on Wednesday afternoon. The Institute for Orthodox Christian Studies, which was founded in 1999, is a full member of the Cambridge Theological Federation, an Allied Institution of the University of Cambridge and a Regional Partner of Anglia Ruskin University. Full details of this week’s conference are available at the IOCS website.